Fimmtudaginn 14. febrúar verður kvöldopnun í Hellinum fyrir 8. – 10. bekk, frá 17:00-19:30. Þennan dag verður farið í ísferð og svo farið aftur í Hellinn í kósý og tölvu fyrir þá sem vilja. Farið verður frá Hellinum klukkan 17:30. 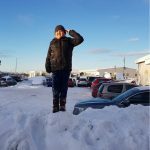 Athugið að það kostar ekkert að koma í ísferðina og börnin þurfa ekki að koma með pening! On 14th of February, Thursday, Hellirinn is having an open evening for the 8th to 10th grades, from 17:00-19:30. 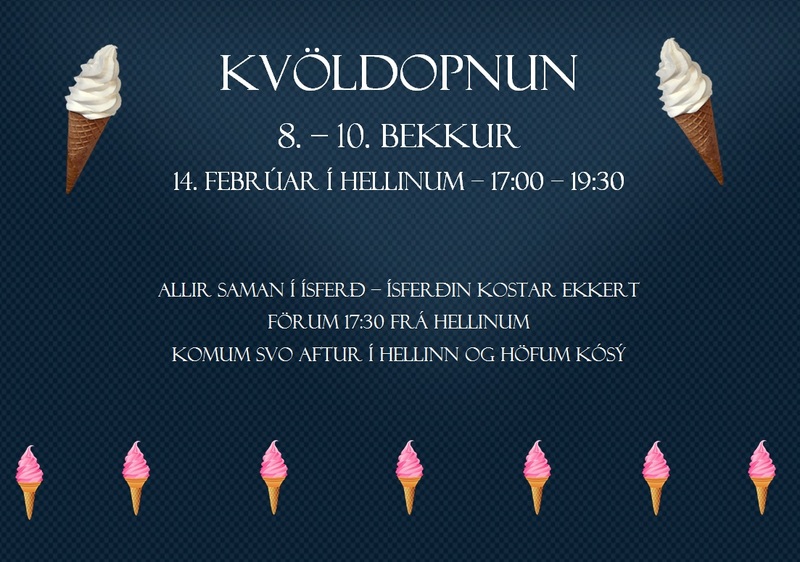 We are going on an ice cream trip and after that we come back to Hellirinn for some free time. We leave at 17:30 from Hellirinn. Please notice that this trip is free and the children don’t need to bring any money!